“Man, Craigslist’s Web design is really beautiful,” said nobody, ever. We don’t come to Craigslist for the gooey user interface. That’s not a knock on Craigslist. For a classified listings website, the bare bones design serves its purpose: clean, simple, doesn’t get in the way. But a little eye candy never hurts. Today, mobile app engineering and design firm Mokriya launched an officially licensed Craigslist app for iOS and Android that’s head and shoulders above any other Craigslist app, in terms of design. 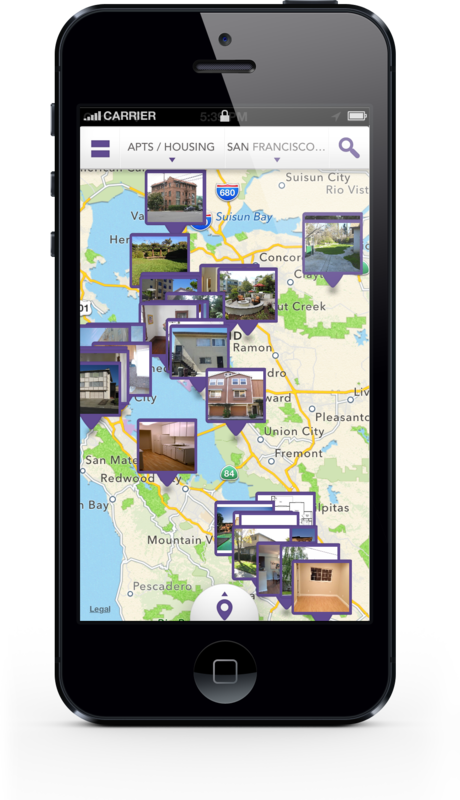 If you’ve ever looked for an apartment and became unhealthily obsessed with Craigslist you’ve probably noticed the company has no single, official app. A query on the iOS App Store turns up about 20 Craigslist apps, most of them clunkers. The team at Cupertino-based Mokriya saw this and wanted to solve the “UI problem,” as cofounder Sunil Kanderi puts it. The company certainly has the resume to do it: It has helped build apps for Path, Sidecar and Threadflip, among others. 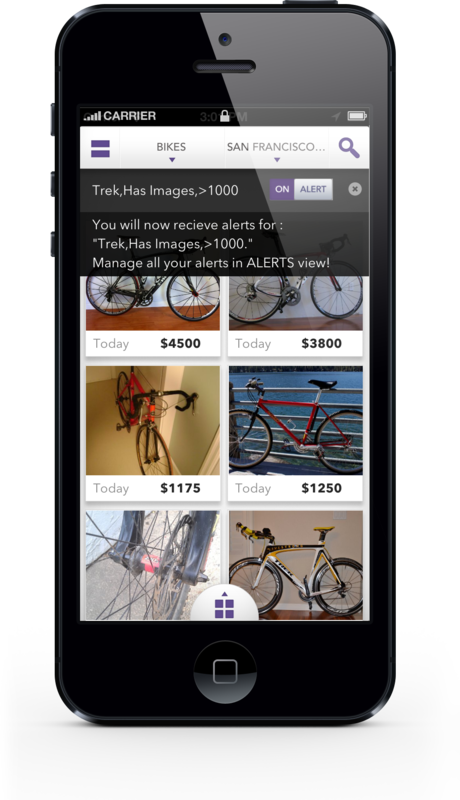 The Craigslist app is the team’s first standalone product launch. “The browsing experience on Craigslist should be as easy and as pleasurable as browsing Path or Pinterest,” Kanderi says. The team wanted to go about building the app with Craigslist’s input. Mokriya reached out to Craigslist founder Craig Newmark and CEO Jim Buckmaster, who referred the company to Craigslist lawyer Edward Wes to work on a licensing agreement. Mokriya is not the first app to obtain a license from Craigslist, but that group is relatively small. Wes would not comment on licensing matters. The telltale sign of a non-licensed app is the presence of ads. Craigslist’s licensing agreement forbids them, says Kanderi. To see if Mokriya was serious about going through the appropriate channels, the Craigslist team, which is touchy about being undermined by outside parties, searched the App Store to see if a Mokriya Craigslist app already existed and just wanted to get a license as an afterthought. Craigslist was pleasantly surprised to see Mokriya hadn’t built it yet. The biggest task in creating a more user friendly Craigslist is mostly an organizational one. The desktop homepage is a text heavy, multi-columned link-fest, a real eye sore. To translate that experience to mobile, Mokriya built a main navigation menu that works a bit like the Windows Start menu. The nicest touch is in the housing section, which has multiple viewing choices, including a tile view and a map view. The feature is similar to PadMapper (even though that app began getting cease and desist letters from Craigslist for not getting authorization to use the company’s data). It’s a little unwieldy to use when searching through high-density areas like San Francisco or New York. Listings and their thumbnails are literally piled on top of each other and it’s near impossible to see everything. Of course, there is some unsavory content because, well, it’s Craigslist. The app is considered mature, and you have to acknowledge that you are over 17 before downloading it from the App Store. The app gets around accidentally displaying anything too graphic by not allowing photos in the Personals section. The biggest barrier to adoption is that the app operates on a freemium model. The app is free to download, and free to browse, but if a user wants to designate favorites, receive alerts, or post things, it costs 99 cents to unlock those three features. They remain unlocked for the life of the app. Mokriya pays a percentage of the revenue to Craigslist. Sure, the design experience is great, but is it enough to convince people to pony up, when other apps are free? Sure, it’s only a dollar to unlock all the features, but there are more than enough other options. It seems a low-reward tactic, like Path selling photo filters. Either way, the monetization question won’t make or break Mokriya. The company is sustained by its app-building service. But if it stifles usage, it could be a concern for the app. And if things don't work out, perhaps Mokriya could put the app up for sale on Craigslist. Now that would be meta.